Dealing with a family change? Obtaining resources (food, clothing, school supplies etc…)? Brief Individual Counseling - Counseling sessions are offered to students who have emotional or social challenges that are affecting their academic performance. The goal of individual sessions are to help the student cope with immediate needs so that they can continue to be successful in the classroom. 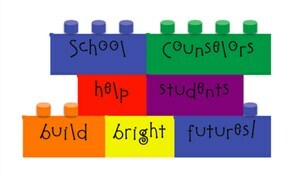 If a student’s needs are beyond the scope of what can be provided by the school counseling program, outside referrals will be suggested. Parental consultations – Conferencing and communicating between school and home is vital to student success. Please contact me to discuss strategies for working successfully with your student on a variety of developmental, academic, and personal needs. Also look for tips and strategies in our monthly newsletter. I encourage a partnership with all families and am happy to discuss any concerns or needs you may have in person, by phone, or email. Please let me know how I can assist your student this year. I am here to HELP!